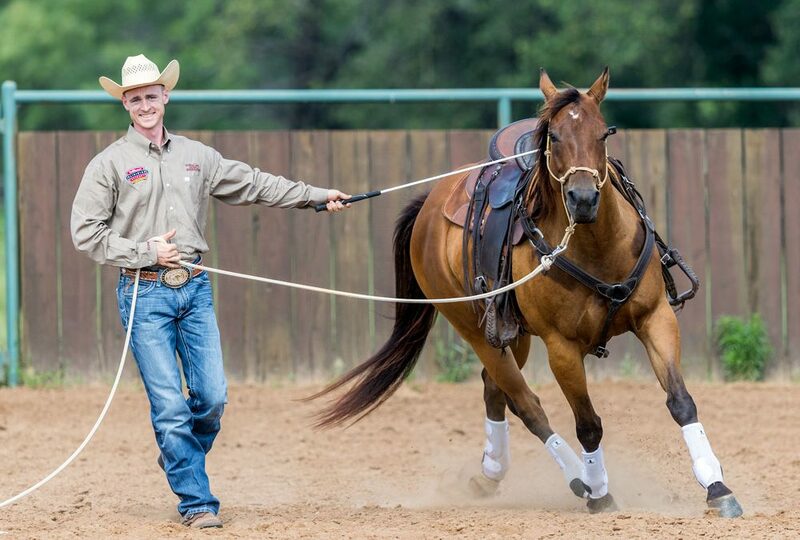 Clinton Anderson Method Ambassador Cale Young will be offering a 3-Day Fundamentals Clinic at Shining Hope Farms’ Conover NC farm October 19-21st. The cost per participant will be $400. Spectators are welcome at $25/day or $50 for the entire weekend. For those interested in renting a stall for the weekend on site, the cost will be $20/day with shavings included. This is a great opportunity to check out our beautiful new facility! Clinic is limited to SIX spots so please call Shining Hope Farms at 704-827-3788 or email shininghopefarms@gmail.com to reserve your spot ASAP! Cale was raised just outside of St. Louis, Missouri where horses were a part of his everyday life. His mother was a mounted police officer, and she encouraged Cale’s interest in horses. He grew up trail riding and went on to explore other disciplines, including hunter/jumpers, eventing and showing Paints in halter classes at the state and national levels.